When salads are concerned I can be a little picky sometimes. I prefer light leafy textures that won’t overpower the main dish. 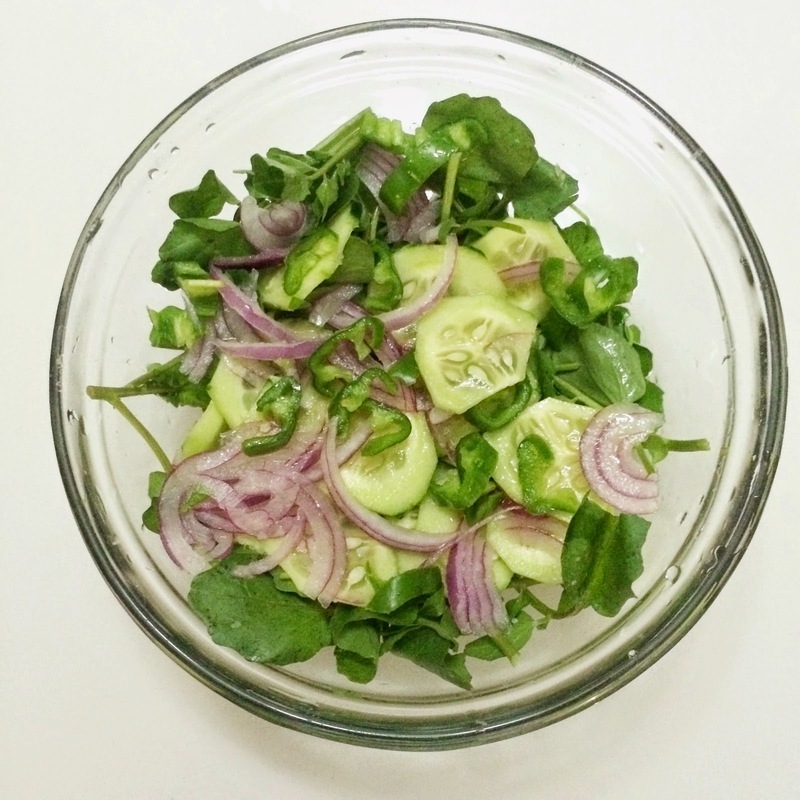 This past summer I began to introduce other kinds leafy greens like Arugula and Cabbage. However, my go to side salad always includes Watercress. It has a light kick and complements any dish. I mentioned watercress long ago in this post here and continue to be amazed at all of the nutritious and healing qualities those leafy greens can provide. Lately I’ve been adding shots of freshly juiced watercress juice to my juices to give it that “super food” kick and I’m loving the effects. Watercress provides 100% of essential vitamins and minerals per each 100 grams of serving. Watercress can also be easily be transitioned from season to season. Check out Martha Stewart’s recipe site and browse through the many ways you can add watercress to your diet for every season.